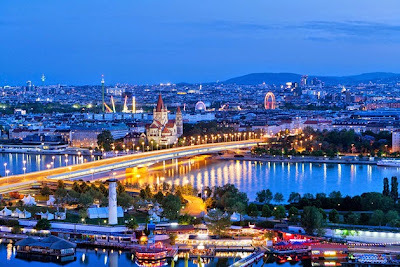 Assemble at Changi International Airport and begin your vacation with a pleasant flight to Vienna, the romantic cultural city Austria. Welcome to Vienna. Upon arrival, enjoy a guided orientation tour if Vienna with a visit to the fabulous State Apartments of the magnificent Schonbrunn Palace. Continue on for a view of the great St Charles church. Drive along the famed Ringstrasse and marvel at the majestic Parliament House, State Opera House and the Hapsburg’s Winter Palace. A refreshing day awaits us as we journey to Bratislava, largest city and the capital of Slovakia. After an orientation tour of the Bratislava Old Town, St Martin’s Cathedral and the Castle. 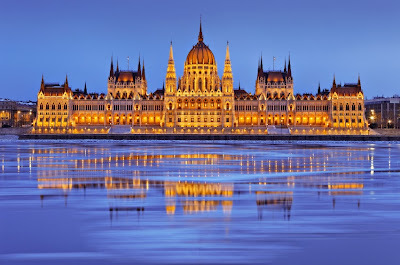 Drive to Hungary and continue to Budapest, “The Blue Danube” – a famous waltz celebrating Europe’s famous river! Tonight be treated to a Hungarian folkloredinner, sit back and enjoy traditional Hungarian music and dance. A leisure drive up north takes us into Slovakia and through the breathtaking peaks of the Tatra Mountains, covering some 785 sq km, three quarters of which lies in Slovakia. We proceed on to Poland and arrive in Zakopane, a town which lies in a valley between the Tatra Mountains and Gubalowka Hill. Take a funicular ride up Gubalowka Hill - a popular tourist attraction, offering commanding views of the Tatra Mountains across the valley below. Take a stroll through Krupowki Street that is lined with stores, restaurants and more. 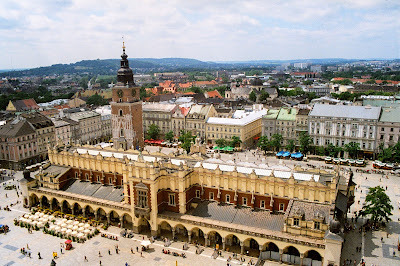 Proceed on to Krakow, 2nd hometown of Pope John Paul II, listed by UNESCO World Heritage Sites in 1978. Discover the charm and beauty of Krakow with our local guide. For centuries this historic town was the seat of Poland’s kings. Ascend the Wawel Hill, with its castle and legendary dragon, to visit the Cathedral. Walk through the Old Town, pass the courtyard of Jagiellonian University and the Cloth Hall. Visit the 14th century St Mary’s Church. Thereafter, you might want to take optional excursion to visit the impressive 700 years old Salt Mine, UNESCO World Heritage site. Today, we journey to the little town of Oswiecim for a guided visit of Auschwitz & Birkenau concentration camps before proceeding to Czech Republic, arriving into the astonishing city of Prague, a wealth of gothic and baroque architecture. 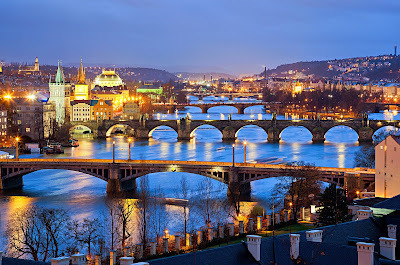 Prague is one of the most beautifully preserved cities in Europe. The highlight of the guided tour is a visit to the 1000 year old Hradcany Castle, former residence of Bohemian Kings. 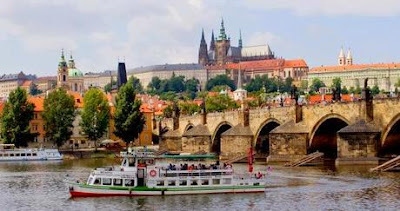 Within its walls are the Golden Lane, Old Royal Palace, St George’s Basilica and the amazing St Vitus Cathedral, with its gilded grand chapel studded with semi-precious stones. Cross the river to explore the Old Town Square and view its famous Astronomical Clock. This afternoon, enjoy a sumptuous lunch at a Michelin recommended restaurant. 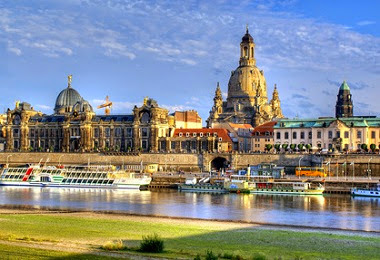 The drive this morning will take us to Germany and into the beautiful city of Dresden, known as the “Florence on the Elbe”. Badly damaged by Allied bombing, the city has since been restored to its baroque splendour. Dresden walking tour highlights the architecture heritage of the Zwinger Palace, the Somper Opera House and the Saxon Wall, made of thousands of Meissen tiles. Our local guide will bring us on an orientation tour in this once-divided German capital, leading us to the elegant Ku-Damm with the bomb-damaged tower of Kaiser Wilhelm Memorial Church, the Reichstag – once burnt by the Nazi and now Germany’s Parliament, monumental Brandenburg Gate, Berlin Wall, Check point Charlie and 210 feet high Victory Column in vast Tiergarten Park. Drive along Unter den Linden Boulevard and pass German State Opera House. Bid farewell to Europe today as you are transferred to the airport for your flight home, bringing back fond memories of your holiday with Cheria Wisata! Cheria Wisata Thank You for traveling with us, and hope that we will be at your service again. Rates quoted are subjected to room availability as of now. Price is subject to change upon booking. Single/Twin/Double bedded all subject to room availability and upon check in ONLY. We will not chase for reconfirmation and if your booking exceeds time limit, we will release the booking. If GUARANTEE BOOKING is needed, then no amendment, no cancellation and non refundable. In the event of No-Show, full length stay will be chargeable.